The government last year shelled out 2.6 trillion won ($2.29 billion) in state subsidies for promotion of solar panels and other renewable energy source, up by 530 billion won from a year ago, as a part of state energy policy shifting away nuclear and fossil fuel. Such subsidies have been on the rise with 1.79 trillion won in 2016 and 2.06 trillion won in 2017 as the government is diversifying its energy mix towards greener and cleaner energy, according to government data disclosed on Monday by Rep. Jung You-sub, a lawmaker of the Liberty Korea Party. The figure is expected to increase as the government intends to jack up the proportion of renewable energy to 20 percent of the total by 2030. By category, solar energy took the largest share of the subsidies at 45.3 percent with 1.17 trillion won in 2018. 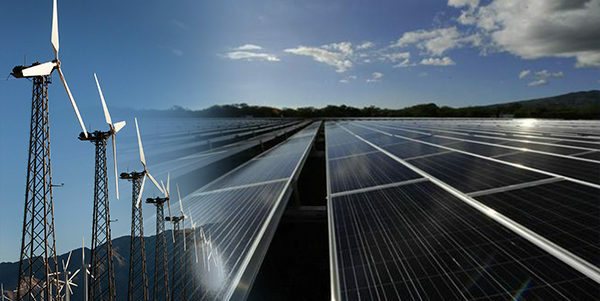 It was followed by bio-energy (710.4 billion won)•and wind energy (148.4 billion won). Subsidies for solar energy have continued to grow with 940.9 billion won in 2016 and 1 trillion won in 2017. The government subsidizes houses and buildings to install solar energy panels. State-run KEPCO and Korea Power Exchange are compensating for the difference in power generation costs between conventional and renewable energy sources. The government also provides subsidies for running a Renewable Energy Certificate (REC) system under which a power generator is required to buy the certificate from the private power market when it fails to meet a quota requirement for power generation using renewable sources. The REC can be traded as a commodity on the open market.